The Historical Society of Holt-Delhi Township preserves the history of a town. And the legacy of an individual who once lived in it, the daughter of Sterling Silver Alf helps tell the story of a not-so-normal man living in a very normal town. Jacob Joseph Ficher of Lansing and Bdour Al-Yasari were in Ingham County 55th District Court on Thursday for a preliminary examination in the Feb. 4 slaying of Al-Yasari’s husband, Amman, in their Holt home. Judge Thomas P. Boyd set a new hearing date for March 14 to allow more time for attorneys to evaluate evidence. A 27-year-old Lansing man was arraigned Feb. 9 in the death of a 35-year-old Holt man in his home. 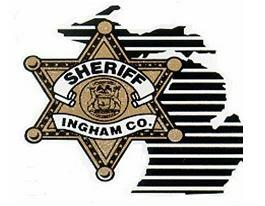 Ingham County Sheriff Scott Wriggelsworth said the killing occurred in an area known for low crime activity.